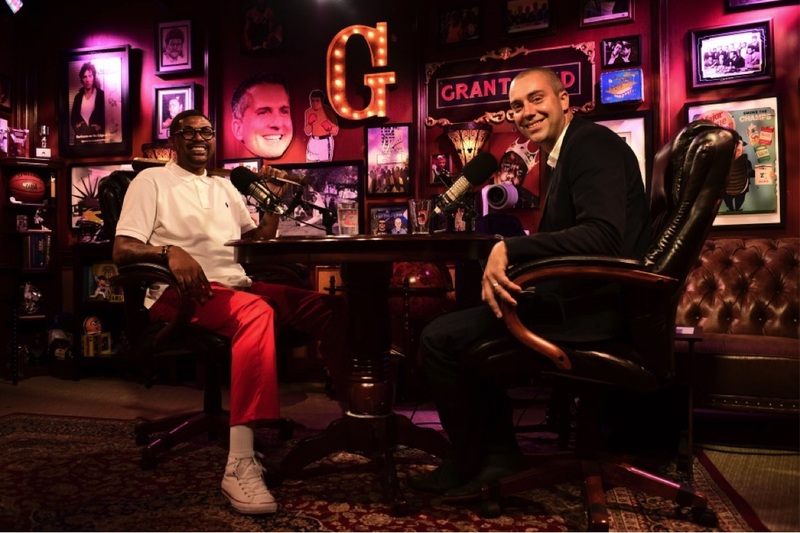 ESPN Audio will debut NBA analyst Jalen Rose and Grantland’s David Jacoby in their new primetime national radio show, Jalen & Jacoby five nights a week beginning tonight (7-9 p.m. ET). Originally a podcast on Grantland.com, Jalen & Jacoby has evolved since it was first developed as a passion project of both Rose and Jacoby back in 2011. A large factor in the success of their podcast-turned-radio-show is their on-air chemistry. Beyond just colleagues, Rose and Jacoby are friends outside the office and often invite each other on vacation. Surprisingly, the initial idea for a podcast with Rose did not involve Jacoby being in it. Their on-air personas also have drawn the attention of fans far and wide. Jalen & Jacoby offer a unique voice and feel that differs yet also complements the existing radio lineup at ESPN. Their loyal and dedicated following are a result of their popular tagline and social media hashtag “#GTPWTW” – “Give The People What They Want,” which Rose kicks off each podcast with. With the new radio show come new challenges, but their focus will not change. Fans who miss their radio show between 7 -9 p.m. ET during the week will still be able to listen to the podcast or watch the Grantland Channel YouTube version the next morning.